Today we’re going to talk about how to take that “thing” that you’ve had forever and actually create an asset without doing a whole lot of extra stuff. We’re talking about that YouTube channel that’s been sitting on the back burner, that’s kind of collecting dust, and right now, it could be collecting more leads and more sales. 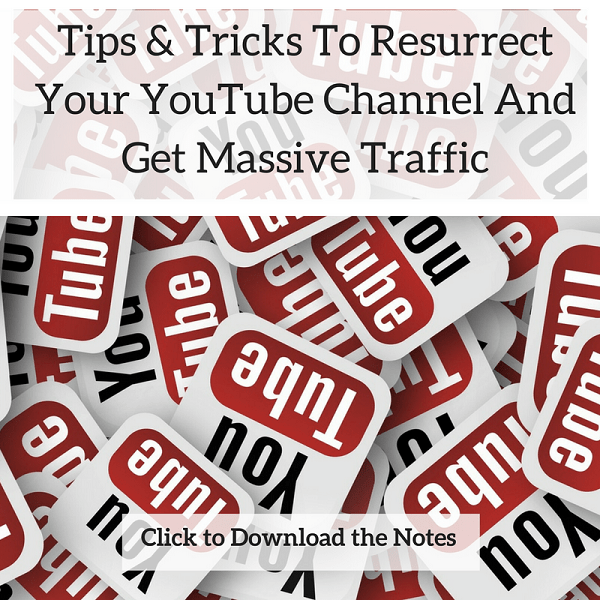 How to take your YouTube channel, drive more traffic to it and convert the traffic into leads/sales Click To TweetAnd ultimately create an asset that is valuable and important to your business. One of the great things about YouTube videos is that you can put them up and people can access them, so you have this ability to cast a wider net. You can reach out and connect with people who have never otherwise heard of you. Not only can people access the information, not only can you provide a huge, valuable resource for other people, but other people that don’t have any idea who you are can find those videos. Right now, if you were to search for “Apple Branding,” my video ranks #1, and then, all of the other videos on Page 1, the first 10, they’re two years old, they’re three years old, and I think, like, the sixth video is 10 years old. Imagine really having the foresight to build a channel out. Not just to think, “Hey, YouTube is where I stick my videos. That’s my video hosting,” but to build a channel, and to be able to drive views that can bring people on your list, or to sell products, or to really gain that exposure and authority. To me, that was one of the reasons why I wanted to dive in. I couldn’t think of any other platform that would allow me to drive traffic year after year, like YouTube can and does. I’m on YouTube. Brian G Johnson TV. I’ve got the website, BrianGJohnson.TV. You can find me on Facebook, Brian G Johnson TV. You know, it’s that brand. It’s that TV brand, and I’m out there, so people won’t have a hard time finding me.